On April 6, 2018, Brothers of the Pittsburgh Alumni Club gathered for their Annual Awards Dinner at The Club at Nevillewood. 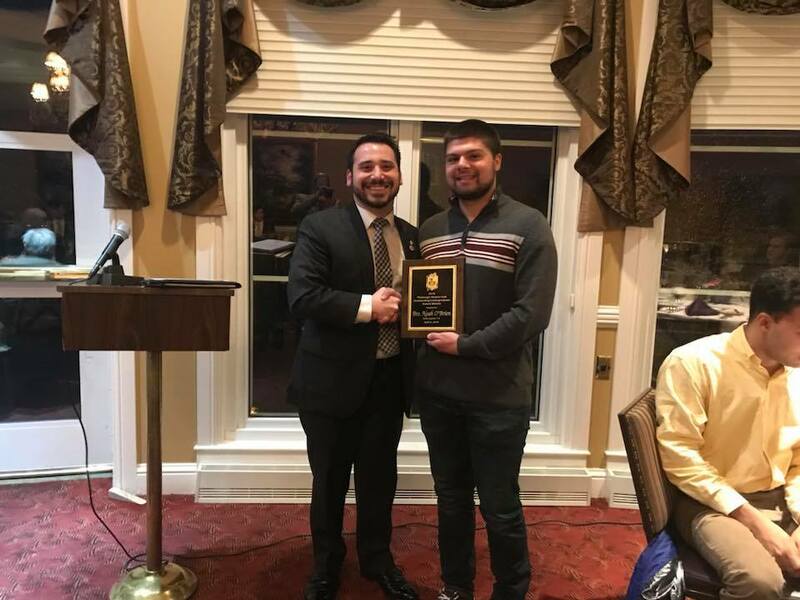 Pictured above is PAC President Nick Bell awarding the Outstanding Undergraduate Award to Noah O'Brien, President of Delta Upsilon Chapter (Robert Morris University). 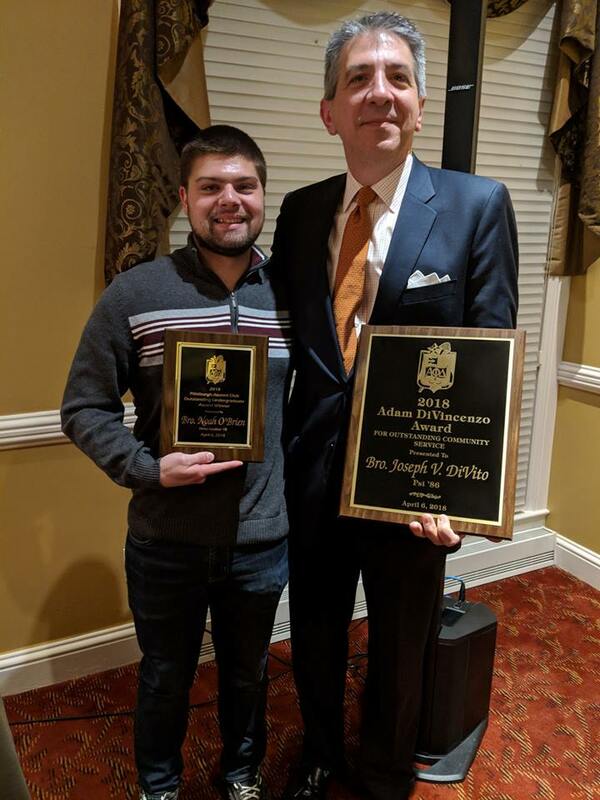 Outstanding Undergraduate Noah O'Brien appears with Joe DiVito (Psi '80), winner of the Adam DiVincenzo Award for Outstanding Community Service. For the 64th year, the Pittsburgh Alumni Club bestowed honors at its Annual Awards Dinner on March 31, 2017. This year's event at the University Club in Pittsburgh recognized three Brothers whose life experiences span the decades but shared the same passion for Alpha Phi Delta. 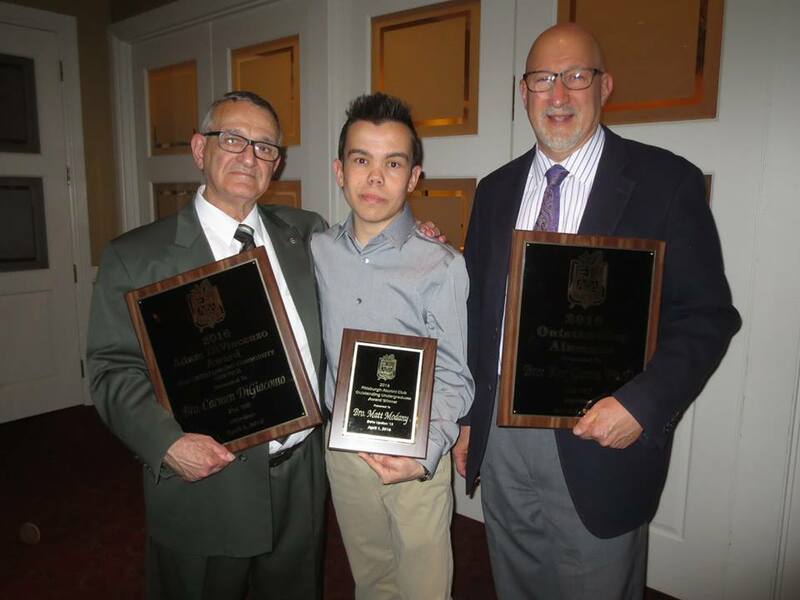 Francis "Fran" Prezioso (Psi, '56) was named the Outstanding Alumnus. 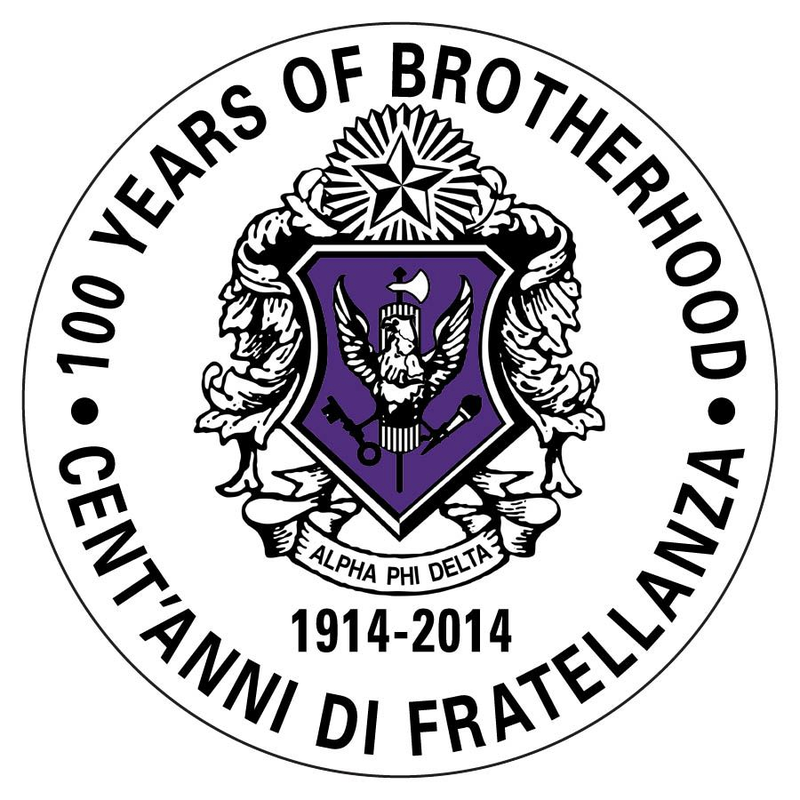 After a stint in the U.S. Army, Prezioso went on to establish a successful trucking and logistics business. The Outstanding Undergraduate is Tim Rodak (Psi, '14), president of Psi Chapter at Duquesne University. The Adam DiVincenzo Award is named for one of our Past National Presidents and is awarded, only when warranted, to a Brother who distinguishes himself in his public endeavors while remaining faithful to Alpha Phi Delta. This year it went to Dr. Samuel Hazo (Psi,'61). A distinguished professor and poet, Hazo was the alumni moderator to Psi Chapter in the early 1960's. He went on to found the International Poetry Forum in Pittsburgh and was named as the first Pennsylvania State Poet from 1993 to 2003. Hazo not only enthralled the Brothers with his erudite acceptance speech, he also left everyone with a copy of his just-released book, Outspokenly Yours. Dr. Samuel Hazo, Fran Prezioso and Tim Rodak pose with their awards at the 2017 PAC Awards Dinner. As part of the Fraternity's Archiving Project, various documents and items from the Fraternity's archives are being scanned for purposes of historical preservation. To get a small taste of this, let's see some of what the Pittsburgh Alumni Club was up to 35 years ago in 1981. 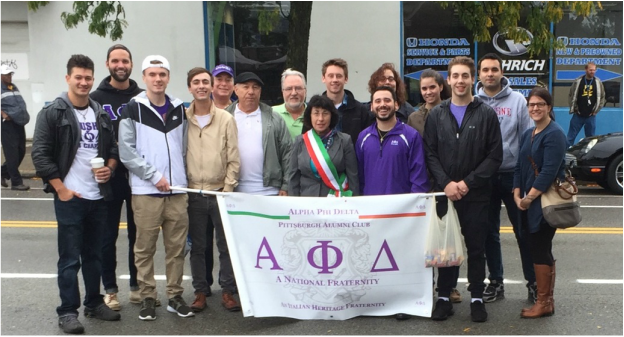 Brothers of Alpha Phi Delta's Pittsburgh Alumni Club, along with a contingent from Psi Chapter (Duquesne University) marched in Pittsburgh's Annual Columbus Day Parade on Saturday, October 8. 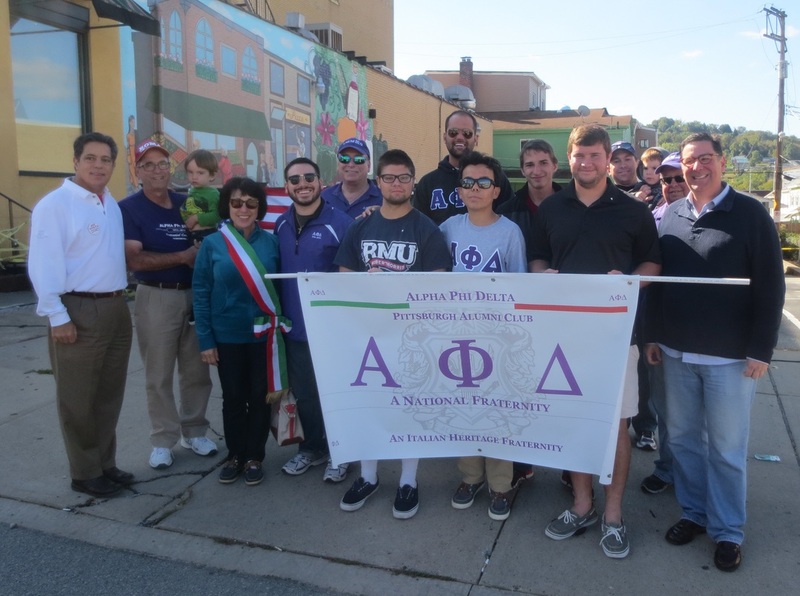 The yearly march through the Bloomfield neighborhood, Pittsburgh's "Little Italy", has become a tradition for the PAC and for the undergraduates from Psi and Delta Upsilon Chapters. The woman in the center of the photo below is Dr. Carla Lucente, Honorary Italian Consul to Pittsburgh and a professor at Duquesne University. The 2016 Summer Convention was an enticing road-trip for a healthy contingent from the Pittsburgh Alumni Club. PAC Brothers traveled not just from the Pittsburgh area but from some of the other far-flung venues they now consider their "home base". Bro. Jack Consiglio and his wife Yara ventured from their home in Florida (with a sack of home-grown mangos) to enjoy a warm reunion with the Brothers. "Hats off" to the PAC's John Russo on another fabulous job as chairman of the convention. 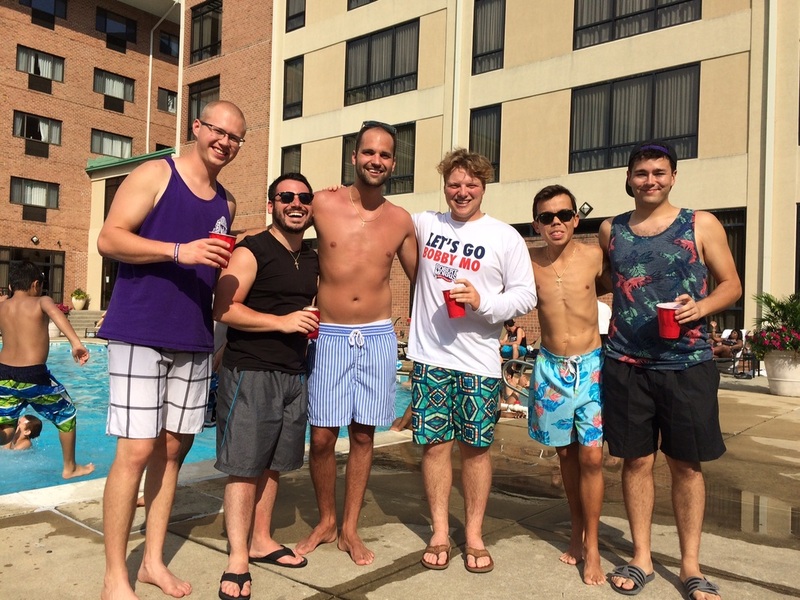 Some of the younger members of the Pittsburgh Alumni Club enjoy a little pool time at the Turf Valley Resort. (L-R) John Provident, Nick Bell, Brandon Konieczny, Jed Grimm, Matt Modany and Michael DiTommaso. A venerable tradition of the Pittsburgh Alumni Club continued on April 1, 2016, at the club's Annual Awards Dinner. 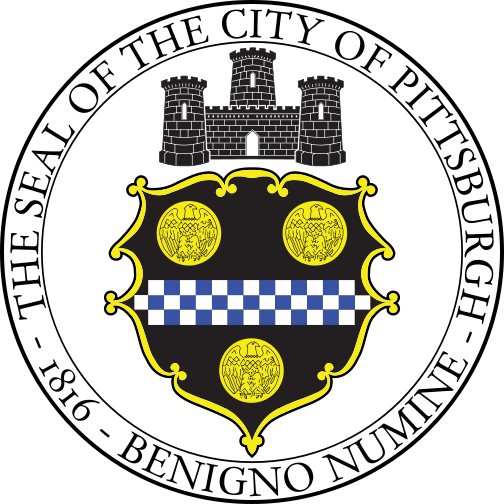 The event took place at the elegant Club at Nevillewood, just south of Pittsburgh. With 50 alumni and undergraduate Brothers attending, the PAC honored Carmen DiGiacomo, Psi '60, with the Adam DeVincenzo Award. Named for a Past National President, the award is bestowed on a Brother who has demonstrated extraordinary service to the community, in addition to his devotion to Alpha Phi Delta. Matt Modany, Delta Upsilon '14, earned the Outstanding Undergraduate Award. He was among those Brothers who reactivated the chapter at Robert Morris College. 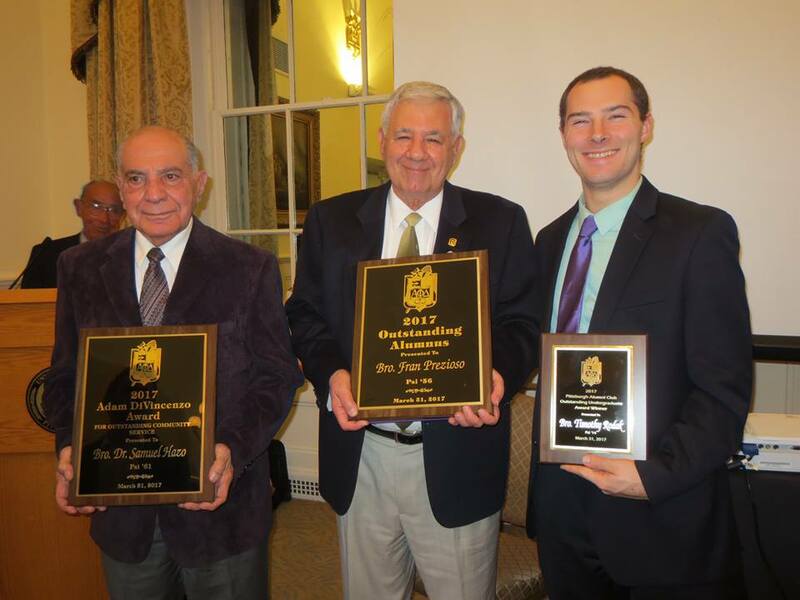 Rex Gatto, Psi '67, garnered the Outstanding Alumnus Award. He has been actively involved in helping Psi Chapter emerge from a difficult period at Duquesne University. The Pittsburgh Alumni Club mourns the loss, on October 9, 2015, of Brother Leon Joseph Panella, alumnus of Psi Chapter and long-time PAC member. Panella was active for many years on the local, district and national levels of Alpha Phi Delta, and a was a regular at National Conventions. He suffered a heart attack on October 9, 2015. Below is a brief obituary from Central Office. Leon Panella was born on February 7, 1943 in Ellwood City, Pennsylvania; his grandparents had immigrated to the United States from Calabria and Abruzzi, Italy. His parents settled in western Pennsylvania. Leon entered Duquesne University School of Pharmacy in 1960. After being initiated into the Psi Chapter in 1962, Leon was an active undergraduate, eventually becoming the Chapter's President in 1965. After graduation he joined the Pittsburgh Alumni Club and has been Vice President, President and most recently its Secretary. Leon has received the Pittsburgh Alumni Club Man of the Year Award, and in 1975 he was recognized as the Outstanding Alumnus of Alpha Phi Delta. He is a former Chairman of the Alpha Phi Delta Foundation. He passed from this life on October 9, 2015. He is survived by his wife, Karen, his sons Lee and Matthew, and two grandchildren. Tuesday 7:30pm - Fraternity's "Rite for a Deceased Brother"
Directions to St. Christopher's Church - take Interstate Rt. 79 North to exit 99 (Rt. 422) - make a right at the end of the ramp to Rt. 422 East and travel about 5 miles to the exit for Rt. 528 (Prospect) - at the top of the ramp, make a right onto Rt. 528 and St. Christopher Catholic Church will be on your right side. ​The family has asked that, in lieu of flowers, please make a memorial donation in Leon's name to McGuire Home. For information go their website at www.mcguirememorial.org. Leon Panella, in a recent photo, as a Scholarship Trustee for the Alpha Phi Delta Foundation. 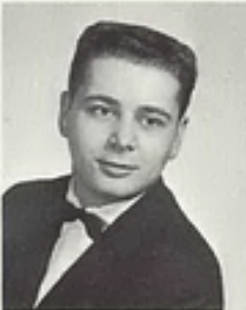 Leon Panella, as a student at Duquesne University, in 1964. The Brothers greeted a variety of local dignitaries along the parade route, including Pennsylvania State Senator Jay Costa (far left in white shirt), Italian Consul to Pittsburgh, Dr.Carla Lucente (in sash) and Pittsburgh Mayor Bill Peduto (far right). Nicholas Bell is President of the Pittsburgh Alumni Club.